Hello everyone! JET teacher Laurence here. So many things changed at the international department in May! The biggest thing being, of course, preparing the new international room. It is called the SGC. SGC stands for Seiritsu Global Center. The room will serve many purposes. In the SGC, students can read English books, study, practice for the TOEFL and TOEIC tests. They can also enjoy English media during lunch time and after school. The SGC will also be the new office for the JET teachers and some of the international staff. Sometimes, the SGC will also be used as a classroom too. Finally, a few times a week, there will be seminars in the SGC about lots of different topics. 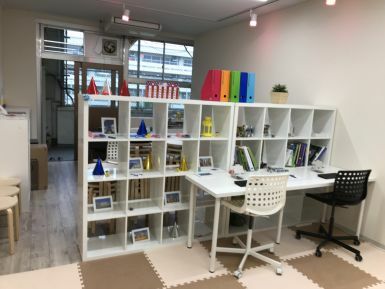 We are very excited to bring all of these things to Seiritsu Gakuen in a way that is accessible and useful for the students. If you come to Seiritsu, please visit the SGC! It’s on the second floor of the taiku (orange) building. Thank you for reading! See you next month!